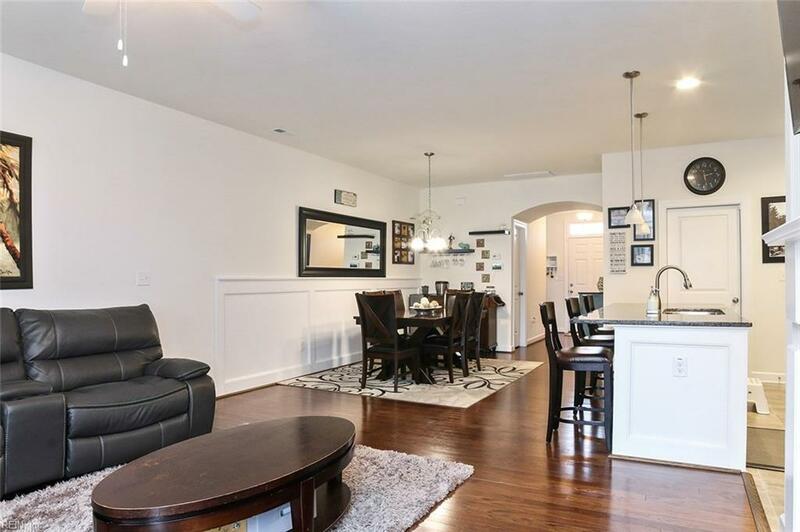 502 Abelia Way, Chesapeake, VA 23322 (#10243677) :: Abbitt Realty Co.
Dont miss this Beautiful 2 story Townhome Style Low Maintenance Condo w/1 car attached garage. 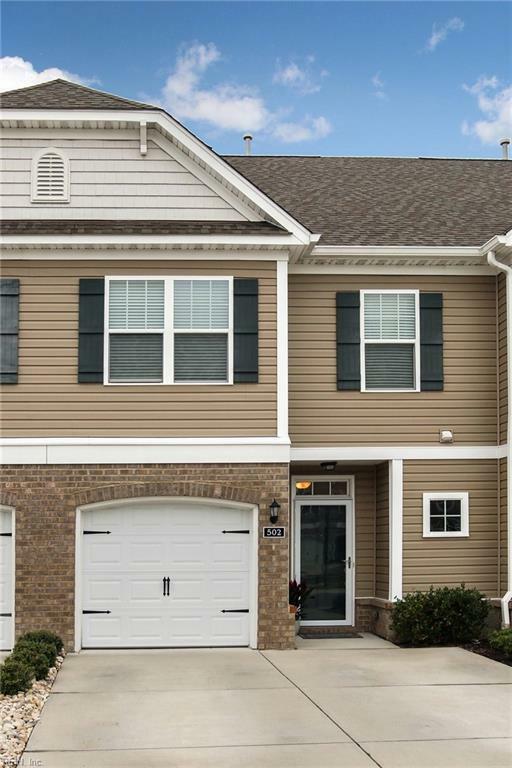 Built in 2015, this home is in one of the most sought-after school zones in Chesapeake- Grassfield High-Great Bridge Middle-Cedar Rd Elem w/EZ interstate access to bases, an ALDI grocery, Starbucks, healthcare & more! This modern, open floor plan w/high ceilings offers beautiful wood flooring throughout the downstairs living areas. 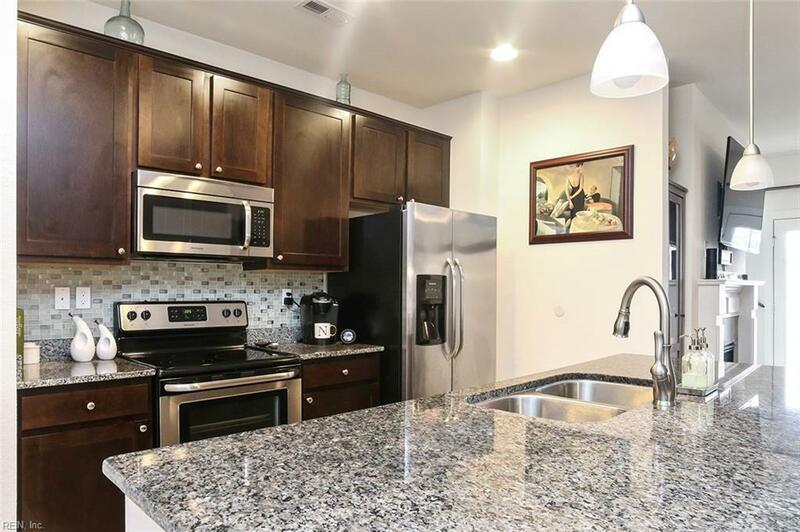 Gorgeous kitchen w/ granite island, tile backsplash & stainless appliances- perfect for your get together w/ family & friends. Warm yourself by the gas fireplace on chilly Spring nights or grill on your patio & enjoy the pool this Summer. Retreat after a long day to your spacious Master Suite w/Spa Master bath featuring Marble floors & large walk-in closet. 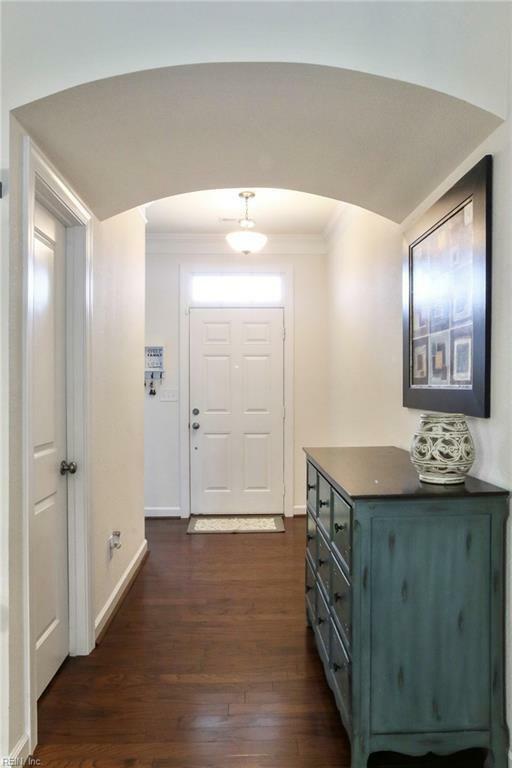 Down the hall, there are 2 more bedrooms & full bath for kids & guests. Convenient upstairs laundry comes w/ Washer & Dryer. Monthly fees include water & sewer, trash, grounds & exterior maintenance.